Blade Information – Are you using the right blades? Loxton Engineering blades are made out of hard wearing steel then bent/twisted, heat treated, tempered to the right Rockwell hardness. Blades are check for length, bend or twist in blade, paired and weigh for balance. 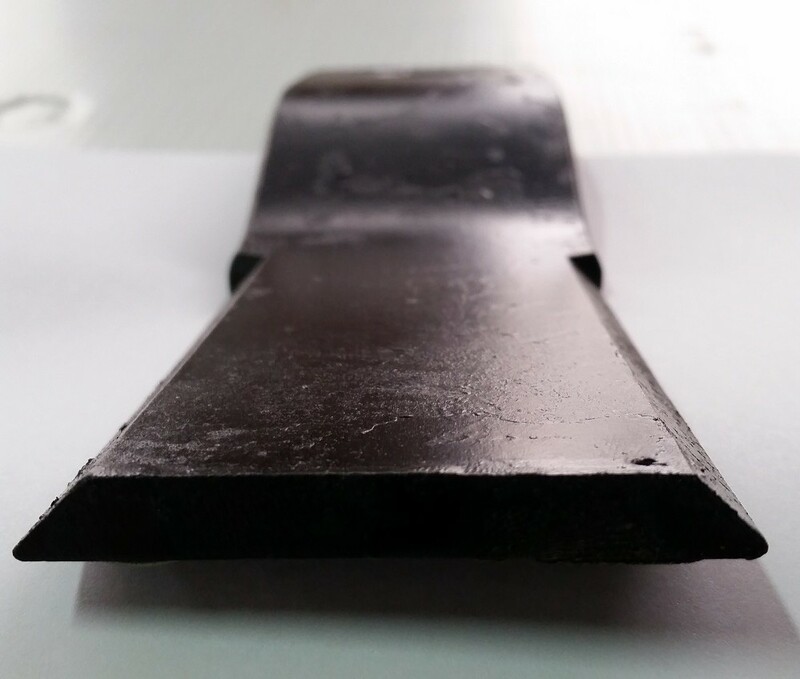 Rockwell hardness is an Australian (World) metal hardness standard required for forged/metal steel for long wearing life. If blades are too hard then they can chip or brake and if blades are too soft, blades will wear quickly, bend, and damage blade and blade edge. Blade cutting edges. 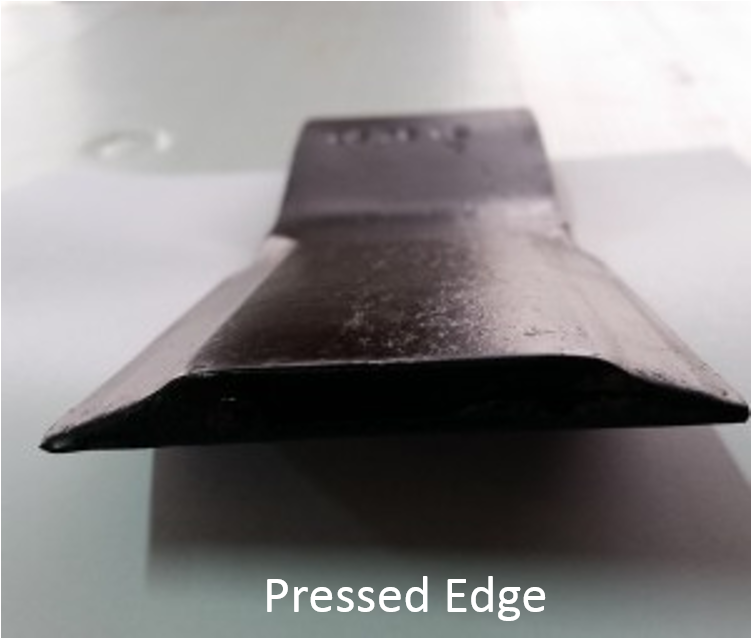 A pressed edge does a cleaner cut and stays sharper longer than a laser edge, plasma edge, oxy edge or milled edge. 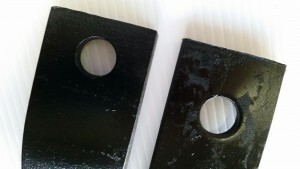 Incorrect Blade hole position and hole size in relation to the end of blade, can cause bush and hole to wear more quickly. Blade hole to close to end will increase hole wear in blade (extra blade length on top side of hole will help keep blade more level hence less wear on bush, blade hole and bolt. 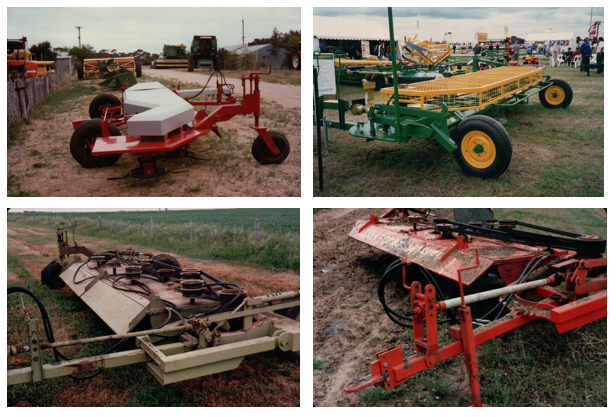 Bush sizes have similar wear factors.